Search engine strategists have worked countless hours performing in-depth tests to determine how to optimize their clients’ website. They optimize keywords for mobile and desktop searches. Google Business pages are created. At the end of each day, clients are happy, marketers thrive, and search engines get filled with useful websites indexed for the betterment of mankind now, and the future. But that damn Siri came out. And her pal Alexa followed her. Which meant people started asking questions and making rhetorical statements via smartphone or speaker, leading to a revolution where only the most relevant sites will start ranking pages based on what these lovely ladies produced. May seem frustrating, but consider this: whoever starts adopting voice search and the many wonderful nuances of voice recognition into their service offerings will start winning a boatload of clients. Quickly. 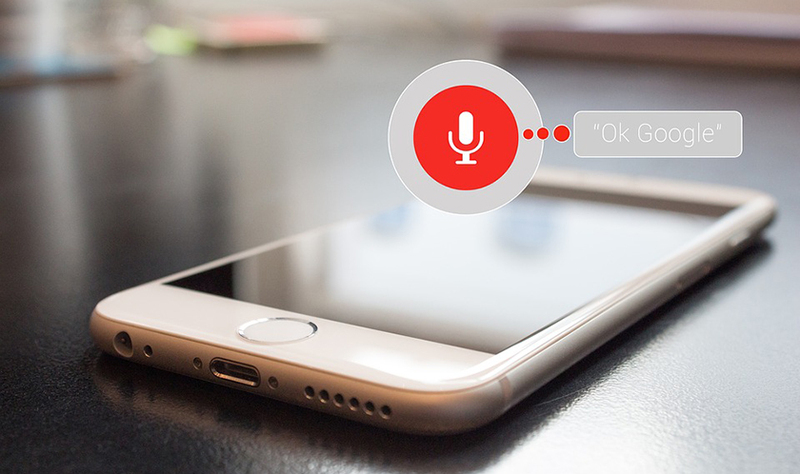 Google says that 20 percent of all search queries with it’s mobile app are done with voice! Yes, voice optimizing websites is mandatory. How wonderful! Local SEO professionals need to do absolutely nothing but make sure they’re optimizing clients’ attorney sites so they’re relevant, filled with positive reviews and have strong on and off-page relevancy. Suddenly, our lady friend wants to show us sites that answer our questions, not offer viable referrals. 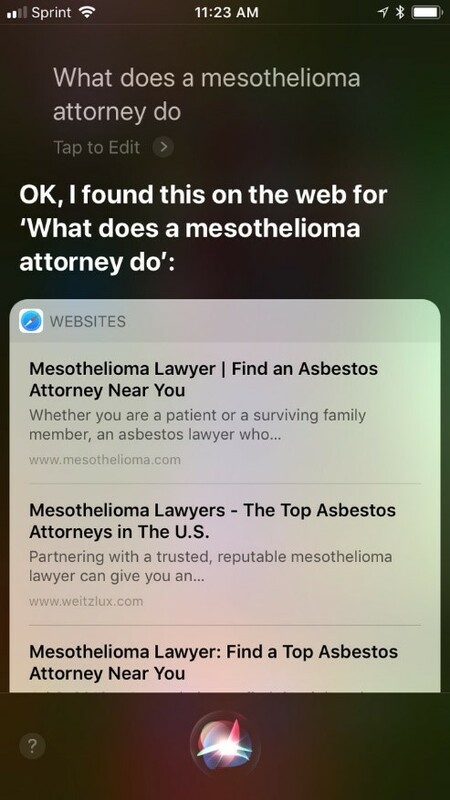 This is where voice SEO is going to get the most competitive – not because people are fighting to put their clients above the fold, but girls like Alexa and Siri will start presenting options that best answer the researcher’s question. This, my friends, is where the competition gets heavy. A large portion of internet searches originate from mobile devices. People are driving down the road, wanting to find some fried chicken and cornbread, damn it. Others simply feel the need for self-education, wanting to know things like how to plant tulips behind their shed. Professionals working in SEO must learn the human psyche. Strategists must be predictive in what people may want in relation to their clients’ products or services. Learn how to answer questions in such accurate fashion that Siri, Alexa and all their brothers and sisters can present relevant facts and referrals. To illustrate a taste of what SEO professionals are up against when considering voice SEO methods, let’s look at the most important food in today’s society: bacon. Today, we’re interested in learning how to cook bacon. It’s a general question, one that could go in any direction. We know it’s a ‘How’ question, so Wikihow and similar sites are going to outrank us all. Or, are they? This question wheel, provided by Answer The Public, offers the most comprehensive means for voice SEO on planet earth. Hands down. There are others out there, but this one seems to provide clarity where others fail. Notice the numerous ways we can cook bacon: with pasta, oil and water. Without smoke. On a traeger grill. Gee whiz, people, I didn’t realize there were so many ways to get bacon edible, and I didn’t know it was possible without a pan. Neither did the searcher. 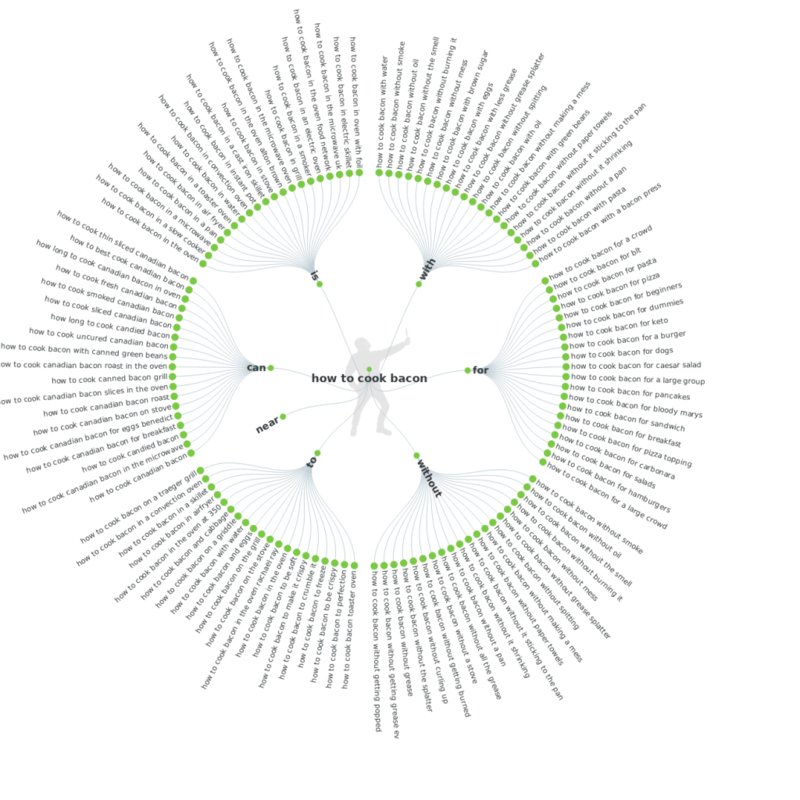 Which is why this wheel (and ones like it) are voice SEO gold. You can type questions into Google from desktops or mobile devices. Most people want specific answers when questions come to mind; each question in the above pinwheel is an article which can answer that question. This means that, depending on how accurately you get and how well you’ve linked internally and externally, you’ll get the most love in Siri. 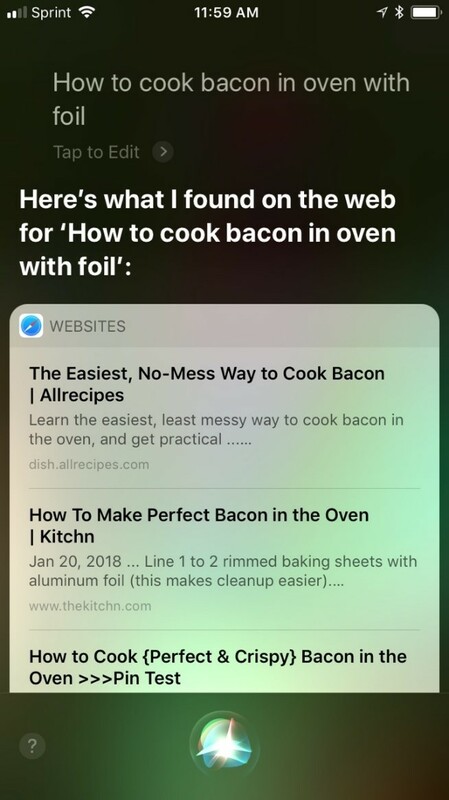 For example, we did a voice search on Siri just now asking one of the questions above: how to cook bacon in oven with foil. No mentions of foil. 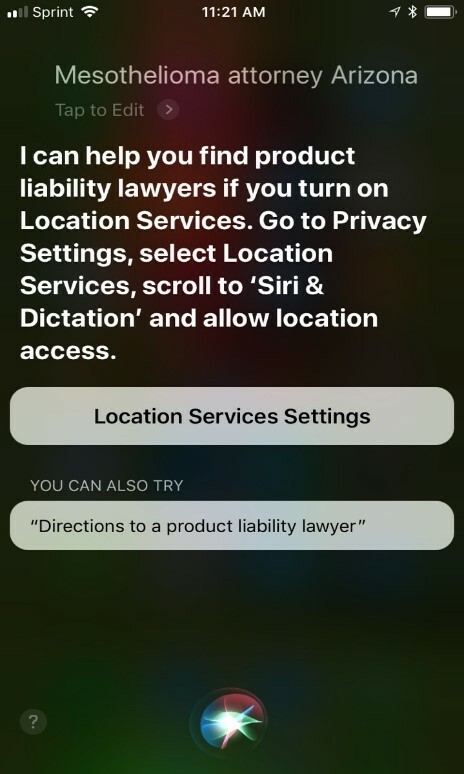 That’s what we wanted to know – and Siri failed me. She’s telling me some nonsense about no-mess bacon or easy bake crap. But we didn’t want that – our interest resided in cooking bacon on foil in the damn oven. Harness the power of ‘the question’, and you’ll see why voice SEO is going to get really competitive. As of now, some SEO guy’s bacon client isn’t offering information that could help his cause. Modifiers will be another important component of voice SEO. “How”, “Why”, “When” and “Where” signify various levels of intent, with how being the least interested in pursuing a product or service, and where being the most likely to act. 22% of voice searches are currently done locally, meaning someone wants food, shopping or services near them (or near their intended destination). That’s 78% left to figure out stuff on either a national level, or simply want some mundane question answered. Your business model inevitably dictates how deep voice SEO takes you. Product or service-oriented businesses will want to remain steadfast in their local SEO efforts while building an extensive library of questions commonly asked. Those that provide information will need to hunker down and intelligibly answer one’s question in thorough fashion while filling each question with links to other questions. Spend a few hours tinkering with your smartphone. Ask questions, make statements, and document your findings. Imagine the possibilities regarding your own website. Now, if you’re offering products or services, imagine how simple tweaks to your site could put you above the competition. And start planning for an internet filled with questions that only the most relevant sites will get to answer for the millions of inquisitive minds thirsty for information.